December 15, 2016 By Elise 4 Comments This post may contain affiliate links. Please read my disclosure policy for more info. For years, I’ve make my own gluten-free flour mix using a large portion of grain that I grind myself. It’s the cheapest, and best flour mix I’ve ever used. The baked goods from that mix dependably turned out soft and fluffy, held together the way baked goods should, I and developed a whole slew of gluten-free recipes around it. The problem is, my continued learning about health, food allergies, and grain consumption led me to desire to get away from all this grain-based baking. Baking, cooking, and even eating isn’t even as much about allergy-friendliness anymore, as it is about being healthy (which in turn makes it allergy-friendly). I make this distinction because I have no food allergies – I’ve always baked gluten-free for the sake of my husband, but now, I’ve begun learning the art of grain-free baking for the sake of all of our health. We haven’t eliminated grain completely from our diets. Now that the weather’s cooling off and I’m using my big oven again, I’ve begun making gluten-free pizza our weekly church potluck (although when I make pizza for our own dinner, I use coconut flour pizza crust) at contribution again. The kids still love their grits and oatmeal. But in general, coconut flour has become our standard. Coconut flour is cheaper than other grain-free flours. When I first became interested in grain-free baking, I was really put off by how expensive the flours were. Thankfully, I found coconut flour for a mere $2/lb. That is a lot, but it was cheap enough to give it a try, and you know what? That $2 amortizes out to a much cheaper price, because as it turns out, you use less than half the amount that normal recipes call for! Coconut flour helps Maintain Healthy Blood Sugar levels. Since it’s a low glycemic food, it doesn’t spike blood sugar levels. In fact, according to several studies, consuming products that contain coconut flour can help lower the overall glycemic impact of you meal. This makes coconut flour very beneficial for people who struggle with diabetes, as well as those working on reaching healthy weight. Coconut Flour Improves digestive health. We touched on this a few paragraphs up, but it’s worth mentioning again. Coconut flour’s high fibre content aids in digestion, but it’s high nutrient density can also aid in heath health. Studies have show that coconut flour has the ability to lower LDL cholesterol (the “bad” stuff”, and serum triglycerides, aided by it’s high levels of insoluble fiber and healthy fat content. 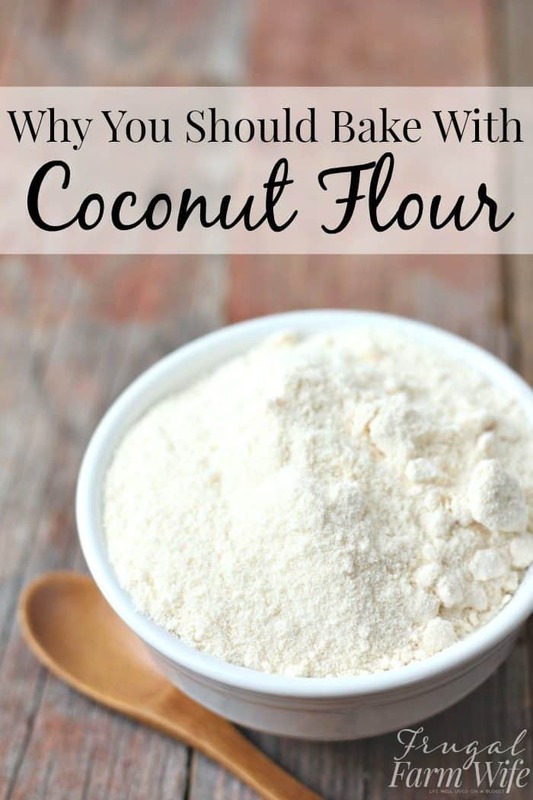 And why should you bake with coconut flour? That’s easy! Coconut flour baked goods are less calorie dense. Between the fact that the flour is high in insoluble fiber, and the you use so little of it, you’re in for a much lighter calorie load. 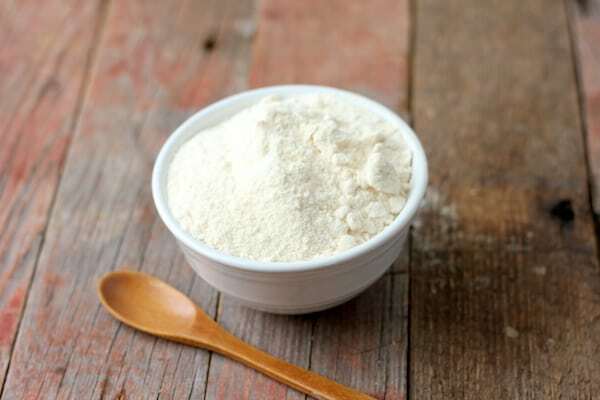 There are 36 calories in a tablespoon of rice flour, and 30 in coconut flour. That doesn’t seem like a lot of difference at first, but consider that a rice based pancake contains 5 tablespoons of flour, whereas one made with coconut flour contains only 1. Let’s not even talk about the calories in almond flour! Coconut flour baked goods contain more protein. No, not in the coconut flour itself, but it’s virtually impossible to bake with coconut flour and not use a lot more eggs than you’re probably used to. While normal cupcake recipes use 3 eggs for 2 dozen cupcakes, my favorite coconut flour cupcake recipe uses 6 eggs (and only 1/2 cup of flour) for one dozen. Crazy, but I love it! While yes, those eggs do add a lot of calories, they’re terrifically good calories, rather than the good-for-nothing, blood sugar spiking (fat storing), digestion disrupting calories you find in grain based cupcakes. It’s amazing to me how, with a few tweaks, we can make our recipes grain-free using coconut flour, and not even miss using grain most of the time. 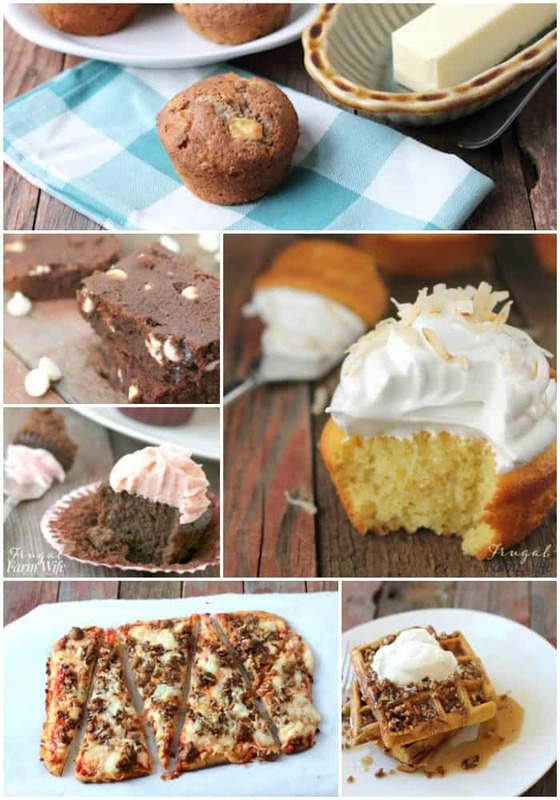 We love baking with coconut flour, and I hope you love the recipes we share as much as we do! 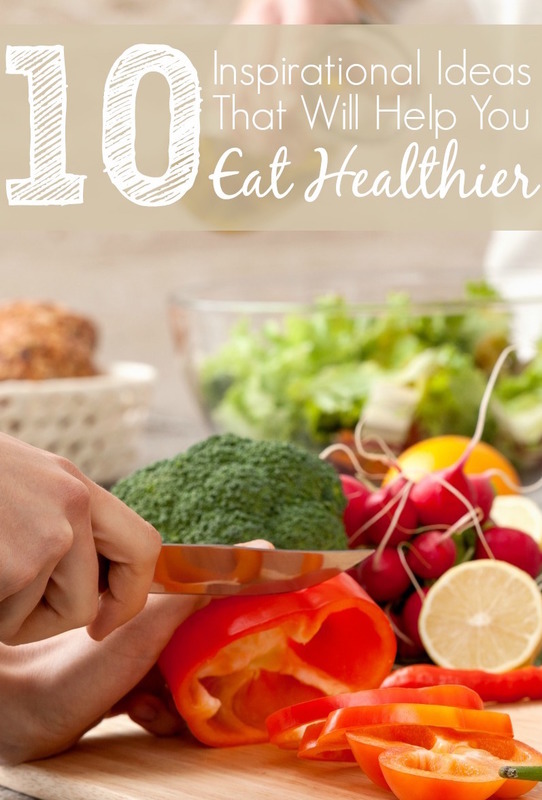 Inspiration to eat healthier? Yet Please! Enter your email address, and we'll deliver this short guide straight to your inbox! To What Email Should we Send Your Free Guide? I’m going to have to try to find coconut flour! Mr. C still has a lot of issues post-treatment for his cancer. This may be just the thing! Thank you so much for sharing. Hi, I am having a hard time finding information on photogenic acids and phytogens? They seem to be two different things. I knew almonds have phytic acid which is mostly in the skin that is removed before being made into flour. Do you have any sources that I can read to find more information? My son is on the SCD diet due to Celiac and multiple immune disorders so we are trying to find multiple ideas to keep variety. I also don’t believe one flour should be dropped for another its all about balance. when substituting coconut flour in regular recipes, baking especially, is there a need to add xantham gum? Usually with coconut flour recipes, you use a lot of eggs which, because of the protein, help hold the fibrous flour together and add structure to eliminate the need for gums.